On April 4, 2016, the Supreme Court decided Evenwel v. Abbott. As required by the Texas Constitution, the Texas legislature reapportioned its senate districts after the publication of the 2010 census, formally adopting an interim plan that had been put in place for the 2012 primaries. Plaintiffs, who are registered Texas voters, sued the Texas governor and secretary of state, asserting that the redistricting plan violated the one-person, one-vote principle of the Fourteenth Amendment’s Equal Protection Clause, by failing to apportion districts to equalize both total population and voter population. A three-judge district court ruled in favor of the state officials. On appeal, the question before the Supreme Court was whether the three-judge district court correctly held that the “one-person, one-vote” principle under the Equal Protection Clause allows States to use total population, and does not require States to use voter population when apportioning state legislative districts. By a vote of 8-0, the Supreme Court affirmed the judgment of the three-judge district court. Justice Ginsburg delivered the opinion of the Court, holding that constitutional history, precedent, and longstanding practice demonstrate that a state may draw its legislative districts based on total population. The Chief Justice and Justices Kennedy, Breyer, Sotomayor, and Kagan joined Justice GInsburg’s opinion for the Court. Justice Thomas filed an opinion concurring in the judgment. Justice Alito also filed an opinion concurring in the judgment, which Justice Thomas joined except as to Part III-B. 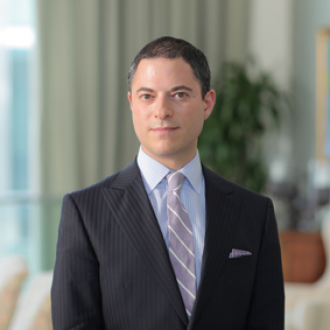 To discuss the case, we have Andrew Grossman, who is Partner at Baker & Hostetler, LLP.